~Watty's 2018 Longlist~Previously featured on Wattpad Picks~ Mademoiselle Ariella du Montamorte is the most unladylike lady that ever graced the court. She is trapped in the debutante season in the hopes of finding an unwanted match, but her reckless and free spirited personality seems to draw in more people than she bargained for. She might even come to the conclusion of considering the possibility of love. As the Royal family pressures their son into finding a suitable bride, he is undetermined as ever to do so. If Prince Callan had his choice, he'd never be confined into the limitations of matrimony. But when he meets a certain Lady, she seems to capture his unwavering attention and never leaves his heart from that point forward. A supposed friend of the monarch sets his plans into motion as he enters court for the first time. He wishes to have the throne to himself and dismember everything in his wake in an unsettling form of collateral damage. He wants the royal family gone, and would even turn to violence to get his way. Romance turns murderous in the first novel of the 'Forbidden Love' series, Ariella. Featured on Wattpad Picks as of April 26th, 2018. Updates every weekend. 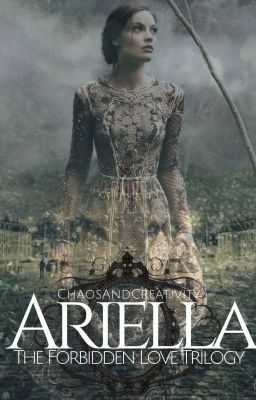 Ariella. Copyright © 2017. Sarah Shelton. All Rights Reserved.